Planning a wedding should be fun, right? Although it always turns out that it is one of the most stressful action that will put into life. Flowers, bouquets, restaurant, wedding rings, me … beverages … cake … so much to choose from. But the only thing people will remember is actually – your wedding dress. So visit Millybridal UK and find your wedding dress of your dreams. Their collection features dozens of breathtakingly beautiful, romantic, feminine and elegant wedding dresses in variety of styles and designs made of high quality materials including silk, satin and lace. Thanks to them every bride can have an opportunity to wear a dress of her dreams on her special day. Thanks to this store every girl can look like a princess on your wedding day without spending a fortune. These are my favorites wedding dresses. This is my favorite dress, because I adore lace. But there is much, much more model and I’m sure you’ll find the dress of your dreams. Lace dresses come in different styles, with stunning details like beads, sequins and crystals. Any style you prefer there are numerous dress designs to choose from. Lace is truly a magical fabric. It’s feminine and refined. Hurry up and grab your favorite dress for your big day. 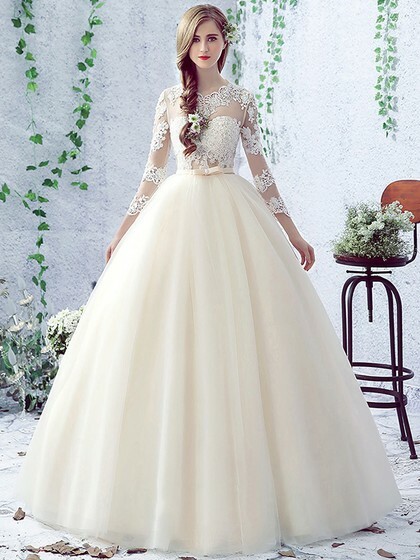 A-line wedding dresses, color wedding dresses, mermaid wedding dresses, luxury wedding dresses, princess wedding dresses, vintage wedding dresses etc. they have it all! All of these wonderful wedding dress designs are modern and fashionable, based on seasonable trends . They offers a huge selection of beautiful, high quality short and long wedding dresses in different materials and various styles to meet any budget. Thanks to them choosing the right dress for wedding day doesn’t have to be a hard task. Also they come with some pretty details like beading, crystals, zircons, sequins and embroidery.